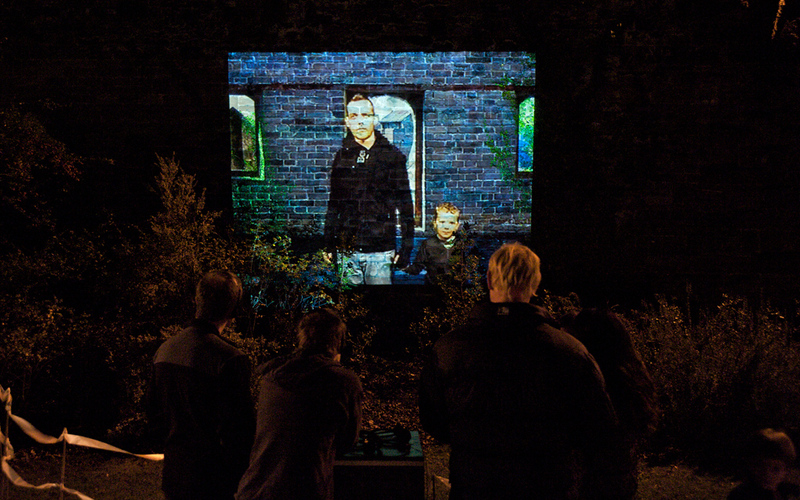 Through the Wall was a six channel video and poetic audio installation commissioned by Chester Performs for the Up The Wall arts festival. Sited on the Roman Walls within the Roman Gardens, Through the Wall was inspired by the surface of the Chester walls and by the (metaphorical) potential of re-orienting the flow of movement through and into the history of the walls. At three sites in the Roman Gardens, projections on both sides of the wall looped and linked, showing three wanderers moving from one frame to another and stopping to look at the scenery of places that have a real or imagined link to the walls themselves. Conceived and created by Proto-type Theater. Writing by Peter Petralia, vocals and performance by Rachel Baynton, Andrew Westerside and Manny Westerside.